The California stem cell agency today handed out $16.4 million in research grants seeking therapies for afflictions ranging from gum disease and cancer to vision loss and Parkinson's Disease. The award for Parkinson's was relatively tiny -- only $150,000 -- but represented a rare case in which the agency's governing board overturned its reviewers, who make the de facto decisions on awards. The reversal came after one board member, David Higgins, of San Diego, who has Parkinson's, noted that the most common drug that Parkinson's patients take is 70 years old. He told the board. The award went to Zenobia Therapeutics, Inc., of San Diego, whose president and co-founder, Vicki Nienaber, had filed an appeal on the reviewers' decision. Another applicant rejected by reviewers, Toshio Miki of USC, also filed an appeal with the board. His appeal was not discussed. Miki's application sought $5.9 million for research involving metabolic disorders. The largest award today, $5.6 million, went to Anthony Oro of Stanford, who will be testing a therapy to treat an affliction that creates wounds that will not heal. Dan Kaufman of UC San Diego received $5.5 million to produce "killer cells" to help people with a form of leukemia. Catriona Jamieson, also of UC San Diego, received $2.7 million for leukemia research. Here is a link to all the review summaries and scores in the round, including the 28 rejected applications. Here is a link to the CIRM press release. The countdown has begun for selection of the Stem Cell Person of the Year. You can vote online for your preference at The Niche, a blog operated by UC Davis researcher Paul Knoepfler. He has put together a list of 20 nominees ranging from a California state legislative aide to the CEO of the New York Stem Cell Foundation, Susan Solomon. Also included is a host of researchers, including Shoukhrat Mitalipov and Alexey Bersenev. The full list can be found here. Knoepfler is the sole judge of the winner and personally provides a prize of $2,000. "Unlike some other science awards out there that shall remain nameless, the Stem Cell Person of the Year prize is not an insider kind of thing, but more of an anti-old boy’s club award. It’s not about who you know, but what you do to help science, medicine, and other people." "Cuts," Private Fund-Raising, $5 Billion Bond Measure: Answers to the Critical State of California Stem Cell Finances? Bob Klein explored a $5 billion bond measure at today's stem cell meeting. OAKLAND, Ca. -- Facing the likelihood of a slow and withering death, the California stem cell agency today edged gingerly forward on a path of "cuts" and risky fund-raising in hopes that its research results will soon generate voter support for more billions of dollars. Two governing board committees of the $3 billion agency, formally known as the California Institute for Regenerative Medicine (CIRM), this afternoon recommended that the full board "entertain" the proposals at its Dec. 14 meeting. The agency is down to its last $269 million and expects to halt new awards in 2019 unless additional funds are raised between now and the beginning of 2020. It has been running at a $300-million-a-year pace recently and has pumped out about $25,000 an hour, 24 hours a day, seven days a week since it started making awards in 2005, according to calculations by the California Stem Cell Report. Today's meeting focused on both short and long term finances. The committees examined a proposal to cut its planned clinical awards by $68 million over the next two years by limiting their size. The committees also indicated support for an ambitious effort to raise $222 million privately between now and early 2020. Longer term, directors staked their hopes on voter approval of a ballot initiative in November 2020 that could total $5 billion. Development of a stem cell therapy that would resonate with voters would be a major key to the success of that effort. The 2004 campaign raised expectations that stem cell cures were right around the corner, but so far the agency has not backed one for widespread use. Robert Klein, a Palo Alto real estate investment banker who ran the 2004 campaign that created the agency, told the CIRM directors of a private poll that he said showed 70 percent of Californians supported stem cell research and continued funds for the stem cell agency. Following the meeting, the California Stem Cell Report asked him for a copy of the poll. He declined to provide it or identify the firm that conducted the survey. "The bridge to the future is CIRM and stem cell therapies." The now less-than-robust finances of CIRM are a product of the ballot initiative, Proposition 71, that created it. CIRM is not funded through the customary process used by most state agencies. The initiative stipulated that CIRM would be supported by $3 billion in state bonds whose funds would flow directly to the agency and bypass the legislature and the governor. When that cash runs out, the agency is left with no other source of state funding. Raising $222 million privately over the next two years is no small task, but deep pockets exist that may well be tapped. The Eli and Edythe Broad Foundation, for example, has donated nearly $80 million to stem cell research centers at UCLA, UC San Francisco and the University of Southern California. All three are linked to CIRM. In San Diego, the Sanford Stem Cell Consortium was given $100 million in 2013 by Denny Sanford, another billionaire. The consortium came into being after it was backed by $43 million from CIRM. Nonetheless, competition for philanthropic cash is heated. Thomas and Klein, however, both indicated that they would collaborate on raising the $222 million, which would allow the agency to add eight new clinical awards in 2020, among other things. The risk lies in the timetable for bringing in the cash. The agency has a relatively tight schedule for making awards --- a schedule that a major philanthropist may or may not be ready or willing to comply with. Without more cash, the stem cell agency projected that it would wither away by 2023 as it managed a declining number of old research grants. in this slide prepared for today's meeting. OAKLAND, Ca. -- California's $3 billion stem cell agency is preparing to put the squeeze on its research awards over the next two years, cutting the caps on new grants in some areas by 50 percent or more. It is all part of a strategy to prolong the life of the 13-year-old research effort as it fights to fulfill the expectations of voters who created it when they approved a ballot initiative in 2004. Voters provided only $3 billion in funding, however, and the agency is now expected to run out of cash for awards in 2019 unless it changes its financial ways. Meeting here today are two key groups, the Transition and Science subcommittees of the governing board of the California Institute for Regenerative Medicine (CIRM), as the agency is formally known. They are scheduled to wrestle with both the agency's short-term finances and the longer term effort to extend CIRM's life for perhaps an additional 10 years or more via another ballot initiative in 2020. As for next year, based on past discussions and practices it appears certain that the agency's directors will reduce the size of awards to the scientists and businesses who are often hard-pressed to find non-governmental support. A proposal by the president of CIRM, Maria Millan, calls for reducing clinical program awards by a total of $68 million over the next two years. Here is how the cuts would work compared to the average award this year in each category. Phase 1 and phase 1/2 clinical trial grants would see their caps reduced from $20 million to $12 million for nonprofits and $8 million for for-profit enterprises. The average award in 2017 in these categories was $10.3 million. Phase 2 trials would see their caps cut from also $20 million to $15 million for both non-profit and for-profit enterprises. The 2017 average award was $15.3 million. Phase 3 trial awards, which averaged $16.7 million in 2017, would have their caps cut from $20 million to $10 million for both types of enterprises. Millan's presentation indicated that would her proposals would allow the agency to support 24 new trials and eight trial candidates over the next two years, in keeping with a strategy of taking "more shots on goal" as the agency tries to develop a stem cell therapy for widespread use. Clinical trials, which can take years, are the last stage before a therapy is approved by the federal government. Millan's plan would also allot only $10 million for what the agency calls "Discovery" awards (basic research) next year (10 projects) and $9.25 million in 2019 (nine projects). Discovery awards are expected to hit $46 million this year. Education awards are expected to total $1 million this year. Next year they would receive $750,000 and nothing in 2019. Key to the spending plan is the assumption that the agency could raise an additional $220 million from a variety of sources between the end of next year and early 2020. The goal of the fund raising is to bring in $55 million by the final quarter of next year. The rest would be raised between then and the first quarter of 2020. CIRM did not release details of its strategy for raising the $220 million. CIRM Chairman Jonathan Thomas, however, has already been on the fundraising trail and reports that he has identified a number of potential donors. The financial plans and any changes will go to the full board for ratification at a meeting Dec. 14 here at CIRM headquarters. The California Stem Cell Report will cover today's meeting and file reports as warranted on this web site. Below is another presentation slide from the stem cell agency. Cash is flowing out the door fast at California’s $3 billion stem cell agency, which now expects money to run out for new research awards by the end of 2019 instead of the middle of 2020. The California Institute for Regenerative Medicine (CIRM), as the agency is formally known, expects to be down to its last $269 million in uncommitted funds by end of this year. And it is working on a new plan to raise $200 million in private funds to sustain its operations through 2020. The financial projections -- crafted as the agency faces what its leaders call a "critical stage" -- are online this week on the CIRM web site and include proposed lower caps on the size of awards in 2018 and 2019. The agency said the increase this year in the pace of funding was generated by more, higher quality research applications. In documents prepared for a key CIRM meeting next Monday, Maria Millan, CEO of the agency, said her budget scenario would maintain CIRM’s “value proposition as intact as possible” while work moves forward on a proposed, multibillion dollar bond measure in November 2020. She also said enough funds would be available to “wind down” the agency if the bond measure fails. The agency was created by a ballot initiative in 2004, Proposition 71, which financed it with a $3 billion bond measure. No other significant funding was provided. The ballot campaign raised rosy expectations among voters that stem cell therapies were right around the corner. CIRM Chairman Jonathan Thomas, in a presentation prepared for next week’s meeting, pointed to “early successes” such as those involving work by Donald Kohn at UCLA. Thomas also cited “promising early returns” with Asterias Therapeutics’ work on spinal cord injuries. Thomas’ proposal, in addition to private fundraising, calls for a “citizen-led” bond measure in the fall of 2020 to sustain CIRM on a more long-term basis. During next week's meeting, Robert Klein, the Palo Alto real estate investment banker who led the 2004 ballot initiative campaign, is expected to address the prospects for another initiative measure, possibly as large as $5 billion. As back-up options, Thomas identified the possibility of asking the legislature and governor to place a bond measure on the 2020 ballot along with seeking donor funds for co-funding of specific projects. The session on Monday involves the Transition and Science subcommittees of the CIRM board. The committees are expected to recommend budget and fundraising plans to be ratified by the full board at its meeting Dec. 14. In September, the Transition group took a crack at a wider range of possibilities. The latest proposals are a refinement of what was discussed then. Next week's meeting will be based at CIRM’s headquarters in Oakland with telephonic sites where the public can participate in La Jolla, Duarte, South San Francisco, Los Angeles and San Francisco. Public comments can be emailed to mbonneville@cirm.ca.gov. The session will also be audiocast on a listen-only basis. Instructions can be found on the agenda along with addresses for the telephonic locations. A "new era" in the search for a cure for Parkinson's disease was heralded this month in an article in a prominent scientific journal that explored research involving more than $52 million and an organization called GForce-PD. The news was accompanied by a cry for more support for Parkinson's research from the $3 billion California stem cell agency, which has pumped $49 million in Parkinson's studies over the last 13 years. Jeanne Loring, director of the Scripps Center for Regenerative Medicine in La Jolla, Ca., and also a participant in the GForce initiative, said this week that CIRM has not supported Parkinson's research at the level of the other enterprises involved in GForce. In an item she wrote for The Niche, a blog published by UC Davis researcher Paul Knoepfler, she listed $52.3 million in support plus substantial backing from BlueRock Therapeutics, which is financed with $225 million from Bayer AG and Versant Ventures. BlueRock, a Cambridge, Mass., firm, says on its web site, “Our most advanced therapeutic candidate, for Parkinson’s disease, will enter the clinic in 2018. Parkinson's is a devastating disease that afflicts 10 million people in the world and 125,000 in California. One of those persons, David Higgins of San Diego, currently serves on the board of the stem cell agency, formally known as the California Institute for Regenerative Medicine (CIRM). Another, Joan Samuelson, was one of the original board members in 2004 and a fervent but often frustrated voice for Parkinson's research at many CIRM board meetings. Actor Michael J. Fox, who made TV ads for the 2004 ballot initiative that created the stem cell agency, is also among the those living with the disease. Others with the affliction included the late boxing champion Muhammad Ali and famed semiconductor pioneer Andy Grove. "The Kyoto meeting was unprecedented in my experience. Instead of competing, the four groups cooperated and shared plans for their proposed clinical trials. We agreed to harmonize our trials and stay in communication about our progress. All of us plan to start clinical trials within two years." 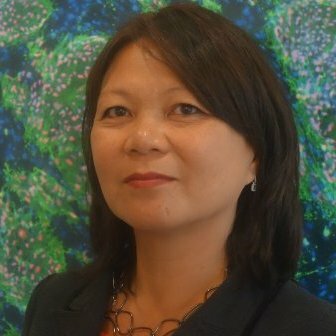 "Since my team has been recognized by the international GForce initiative devoted to safe effective therapy for PD, we hope that CIRM will follow the example of New York, the EU, and Japan, and invest more in our project to provide neuron replacement therapy for Californians with Parkinson’s disease. "While we hope to gain more support from CIRM, we are determined to follow through with our clinical trial, with or without CIRM. It will just be more difficult without their help. The patients and their advocates inspire us, and we won’t let them down." Loring added more information on Sunday (Nov. 19) concerning CIRM funding. She told the California Stem Cell Report. "We started our pre-clinical PD studies in 2011, with funding from Summit for Stem Cell. The first and only funding we received from CIRM for PD research was in 2016. "Before 2011, CIRM invested $41,838,336. Since 2011, CIRM has invested $7,357,468. This means that the majority of the funding went to projects that didn’t lead to any translational or clinical applications. "There are currently three active grants working on Parkinson’s disease, for a total of $4.9 million. We have the only translational grant, and it will expire in March 2018. All but $650,000 runs out by the spring of 2018. "Scaled Biolabs Inc., Justin Cooper-White, Quest - Discovery Stage Research Projects, A tool for rapid development of clinical-grade protocols for dopaminergic neuronal differentiation of Parkinson’s Disease patient-derived iPSCs, $657,528 "
California's $3 billion stem cell research program later this month is expected to unveil detailed plans for extending its life beyond the middle of 2020 in hopes of avoiding a lingering death. The latest proposals, which are not yet public, are scheduled to be discussed Nov. 27. Possibilities range from another multi-billion dollar bond measure to private fundraising to possible merger with some sort of private entity. The stem cell agency, known formally as the California Institute for Regenerative Medicine (CIRM), projects its cash for new awards will run out in about 2 1/2 years. At that point, unless more money is forthcoming, CIRM will only be overseeing the dwindling number of awards whose terms extend beyond June of 2020. The agency's fate was dictated by Proposition 71, which created CIRM in 2004. It also provided $3 billion in state bond funding, which flows directly to CIRM without oversight by the governor or the legislature. No additional, significant resources were contained in the ballot initiative. "CIRM, as we know, is at a critical stage of its mission here." The meeting on Nov. 27 will additionally involve the board's Science Subcommittee. What emerges from the session will go to the full, 29-member board in December for ratification. Options in September included a multi-billion dollar bond ballot measure in 2020 and a possible merger, which was described as something of a last resort. Whatever path is chosen, it likely would lead to changes in the agency, which has been criticized for conflict of interest issues and its dual executive arrangement, among other matters. The agency has awarded $2.3 billion in 919 grants during its 13-year history. About 90 percent of the awards has gone to institutions with links to members of the governing board, past and present, according to calculations by the California Stem Cell Report. So far the agency has not fulfilled expectations of voters that it would generate a widely available therapy. Something may emerge in the next couple of years from the 38 clinical trials currently backed by the agency. (Forty-three have been funded but five were terminated.) The trials, which can take years, are the last stage before a therapy is approved by the Food and Drug Administration for widespread use. CIRM plans to add more trials in the next couple of years. This month's meeting will be based at CIRM's Oakland headquarters with teleconference locations elsewhere in the state where the public can take part. It is scheduled to begin at 1 p.m. PST and run until 4 p.m. The California Stem Cell Report will provide full coverage of the meeting that day with advance information as it is posted on the CIRM web site. The only state panel that has formal oversight of the $3 billion California stem cell agency meets this Thursday in Los Angeles for what is expected to be a routine meeting. The body is the Citizens Financial Accountability Oversight Committee, chaired by the state controller, Betty Yee. The 10 a.m. meeting in Los Angeles City Hall has nothing on the agenda that appears to raise a red flag. However, some past sessions have been lively. Leaders of the agency are expected to brief the committee, which was created by Proposition 71 in 2004, which also created the research effort itself. The ballot initiative specifically exempted the agency, known formally as the California Insitute for Regenerative Medicine, from control by the governor and legislature. Here is a link to names of the members of the committee. 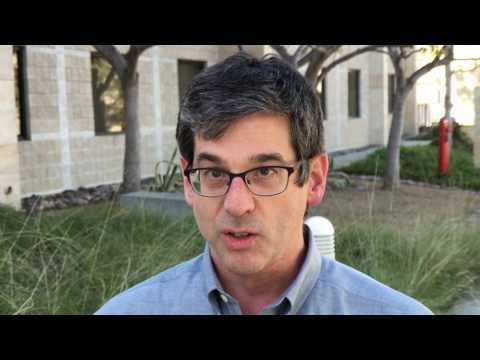 An Asterias video carried by KQED as part of its story on a CIRM-backed stem cell therapy. Just before Halloween, the $3 billion California stem cell agency chalked up another PR score with a long, favorable piece on a public television station that covers the San Francisco Bay area. The story focused on a potential therapy for spinal cord injury developed by Asterias Therapeutics, Inc., of Menlo Park, Ca. The audience for the story was also critically important -- millions of voters who may well be asked to provide more billions for the stem cell agency, which is slated to run out of cash in mid 2020. The piece by David Gorn carried caveats, but it also used quotations such as "incredibly exciting" and phrases such as "truly remarkable." And it noted -- relatively high in the story -- that the research is backed by the California Institute for Regenerative Medicine (CIRM), as the stem cell agency is formally known. "The trial is legitimate. It’s partially funded by the California Institute for Regenerative Medicine, the state’s stem cell agency; well-known spinal experts are participating; and the FDA has certified the treatment as one that preliminary clinical evidence indicates has the 'potential to address unmet medical needs' related to a 'serious or life-threatening disease or condition.'" The good news about the Asterias therapy has been written about before. But it is far from a topic that is talked about at California breakfast tables. The agency's activities -- good, bad or indifferent -- are well out of the coverage of the mainstream media, a sharp change from its early days in 2005 and 2006. Raising its profile -- favorably -- is a daunting task given that science writers have virtually vanished from the mainstream media -- all part of the shrinking world of today's journalism. In the last couple of years, however, the agency has stepped up its funding of clinical trials, which are the last stage before a therapy is approved for widespread use. Although clinical trials can take years to complete, their initial results can resonate with the public in a way that basic research does not. Seeing a person overcome an affliction is far more compelling than watching a mouse recuperate. CIRM's efforts are additionally hampered by a convention in science journalism that tends to minimize the importance of sources of funding. In most cases, it is mentioned only at the end of articles. Sometimes it is omitted entirely. CIRM, however, is a grand, California experiment that took up the cause of stem cell research when it was suffering from a lack of attention from risk averse companies and a lack of support from the federal government. Many of the 921 projects that the agency has funded may have never gotten off the ground without support from the voters of California, who created the agency in 2004 through a ballot initiative. CIRM additionally carries policy implications that go beyond bench science. It is the first such effort in state history, marrying big science, big academia, big business and big politics in a unique way in California. If the agency is to continue financing research to the tune of $300 million a year, it is almost certain to need another ballot measure. And to win voter approval once again, CIRM will need a vault filled with stories of accomplishment and human emotion that will resonate with the voters of the Golden State. Maria Millan, the president of the $3 billion California stem cell agency, this week discussed the future of the nearly 13-year-old effort, which expects to run out of cash for new awards in 2020. Her remarks are contained in a Q&A interview on RegMedNet, "a networking site that unites all members of the diverse regenerative medicine community," according to a statement on the site. The piece contains no big surprises but is worth examining if you want to get a sense of her background and where she is headed. Here are two excerpts. Question: "What will happen once CIRM has given out all $3 billion allocated to it by Proposition 71?" Answer: "We are working with our board to pursue sustainability options to ensure that the products of the Proposition 71 investment have the best chance of reaching the patients. CIRM has played an essential role in growing the stem cell/regenerative medicine field by bringing in the critical mass of resources, top notch researchers, rigorous basic and translational research and building the most robust late development and clinical stage portfolio to accelerate novel treatments to patients with unmet medical needs. With the CIRM 2.0 processes that drove operational excellence and acceleration, there is incredible potential to build upon the recent early successes that led to projects that are nearing FDA marketing approval and to drive more of these successes to the benefit of healthcare and patients." Question: "What are your plans for CIRM over the next few years?" Answer: "We are fully committed and motivated to executing on the 5 year strategic plan that we launched in January 2016. When we proposed these strategic goals, they were 'stretch' goals and now it looks like we will achieve these goals. This strategic plan is driven by our mission 'to accelerate stem cell treatments to patients with unmet medical needs.'"